With summer in full swing, now is the time to get away and enjoy a relaxing vacation in Door County. Ephraim Shores Resort, an excellent downtown Ephraim resort, has everything you need to make your visit memorable. Whether you are looking to explore the area’s many shops, wineries and galleries or enjoy outdoor activities on land or water, Ephraim Shores is your convenient vacation headquarters. Ephraim Shores is within walking distance to two local marinas, the village’s historic and picturesque downtown, local galleries, stores and restaurants. Visitors who enjoy time on the water can visit South Shore Pier and rent a boat, parasail or enjoy other fun water activities. 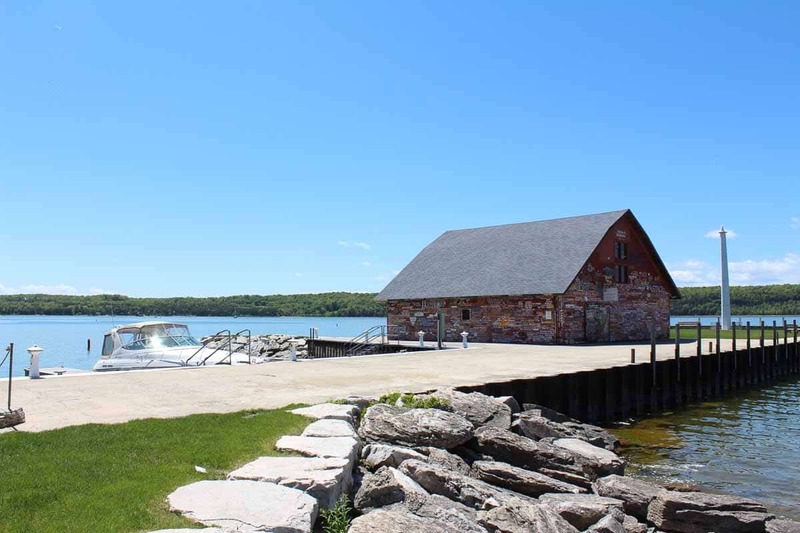 Visitors can also check out Anderson Marina, which not only has slips for rent, but is also home to a historic dock warehouse well known for its boat name graffiti. If there is something specific you are looking for, ask a downtown Ephraim resort’s helpful staff member who can provide the answers needed. Ephraim’s historic downtown is home to galleries and quaint shops featuring a variety of high-quality items including fine art, jewelry, furnishings, garden accessories and clothing. For history buffs, there’s a museum documenting the village’s history, including its proud Scandinavian roots, and guided walking tours of the village’s carefully-preserved 30 historical sites. Ephraim is also home to multiple restaurants ranging from the iconic Wilson’s Restaurant & Ice Cream Parlor to the Old Post Office Restaurant, which is housed in a historic building and is well-known for its fish boils. If your ideal vacation is shopping, visiting galleries, hitting the water or biking in Door County, our resort is a wonderful choice for your vacation. At the end of the day, head back to your comfortable room at Ephraim Shores and recharge for the next day’s activities. Whether you plan to spend a weekend or an entire week in Door County, Ephraim Shores is the perfect downtown Ephraim resort for your family.